Webroot, warns users about the possible phishing attack for Amazon kindle users. 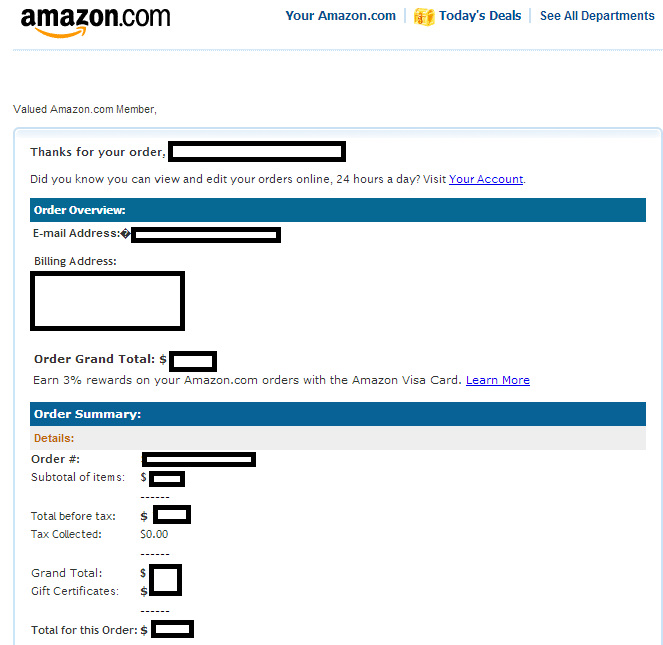 As per webroot, Cyber criminals are attempting to phish Kindle owners into thinking that they have received a receipt from an E-book purchase from Amazon.com. In real, when a users click on any of the links found in the malicious emails, they are automatically exposed to the client-side exploits served by the Black Hole Exploit Kit. In real we don’t think any of Amaozn’s servers are compromised but this will trick a lot of users give their information to the wrong hands.